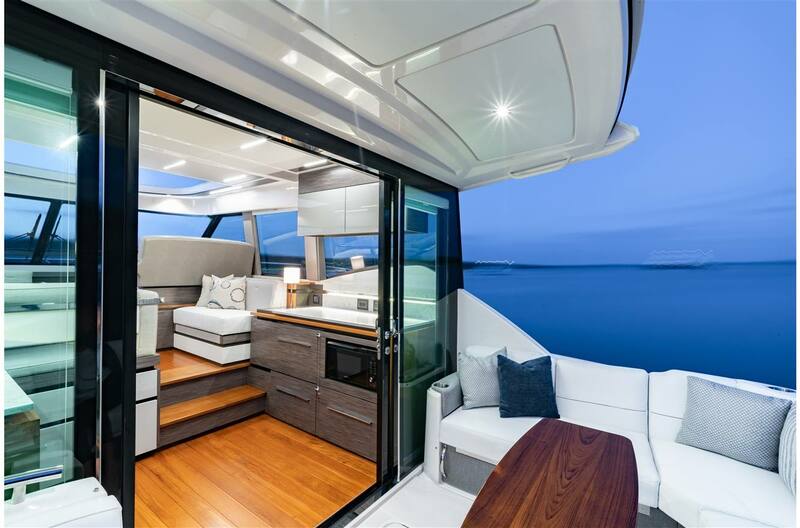 The 49 Coupe blends classic Tiara Yachts legacy with a contemporary balance of materials and improved layout, increasing social zones while maximizing seating and comfort. 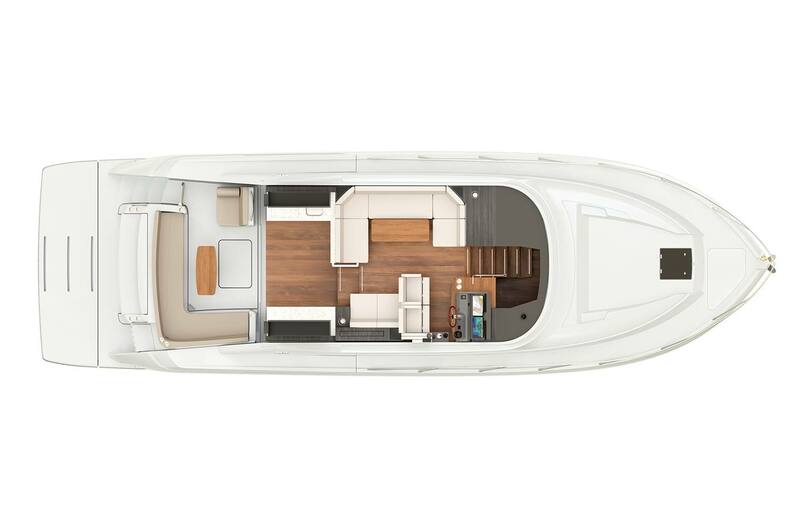 Interior, the single level salon offers unparalleled height, 360 degree visibility, cross conversational seating and a generous 48" wide helm seat. 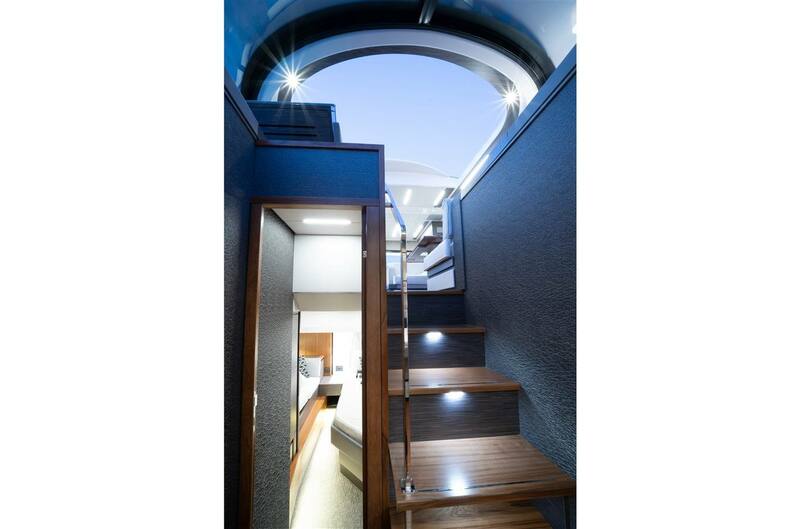 Accommodations for up to six guests await below deck. 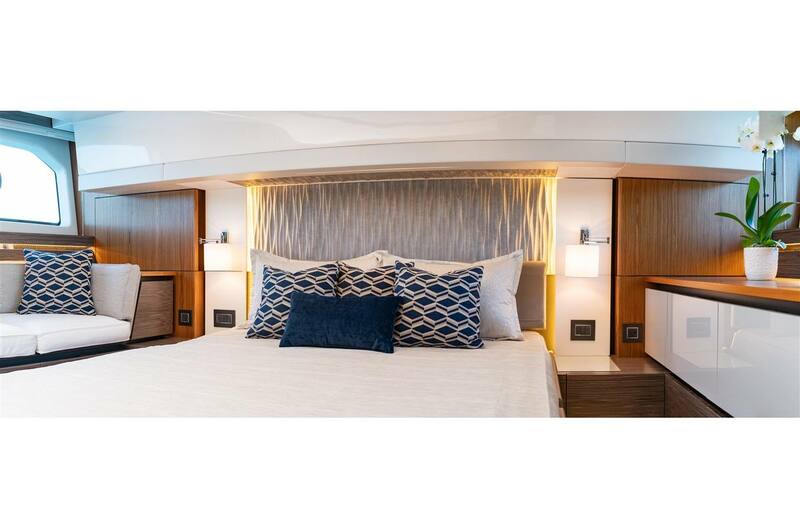 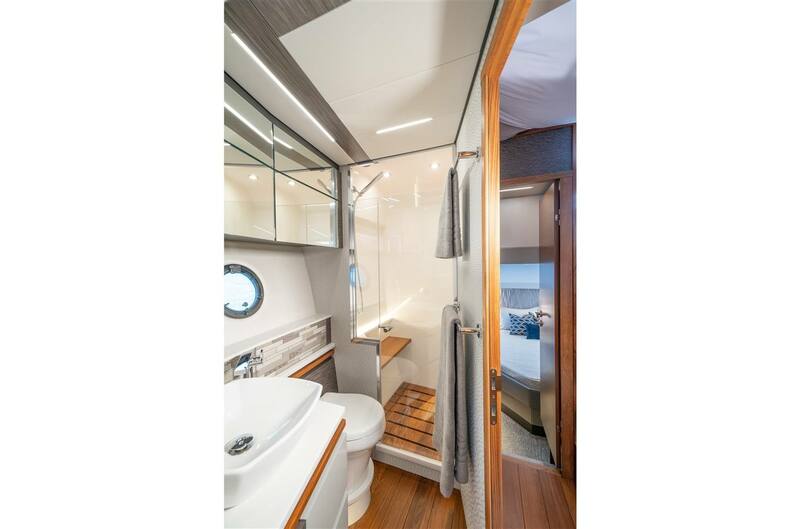 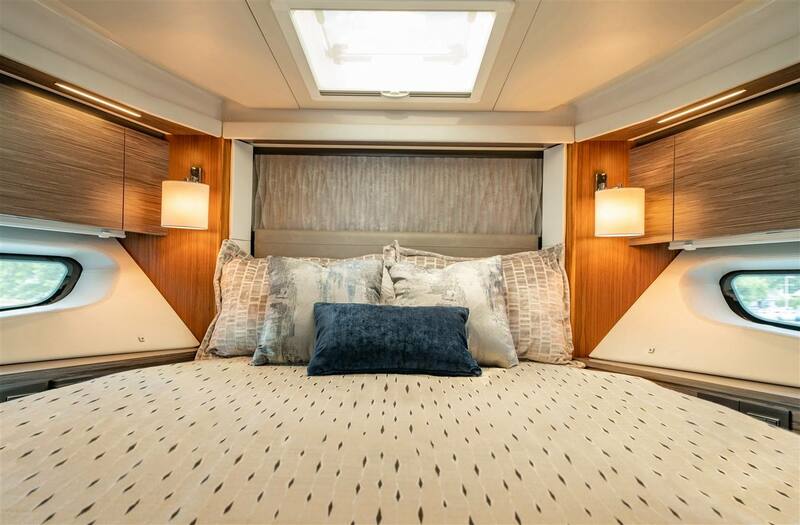 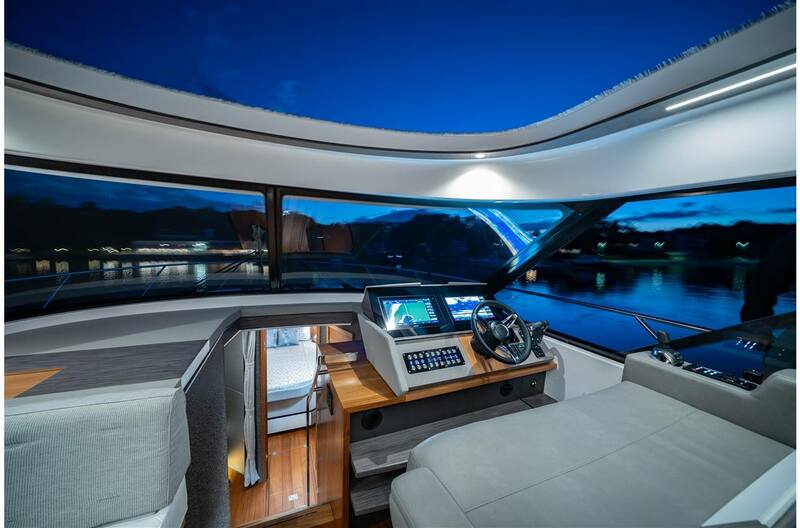 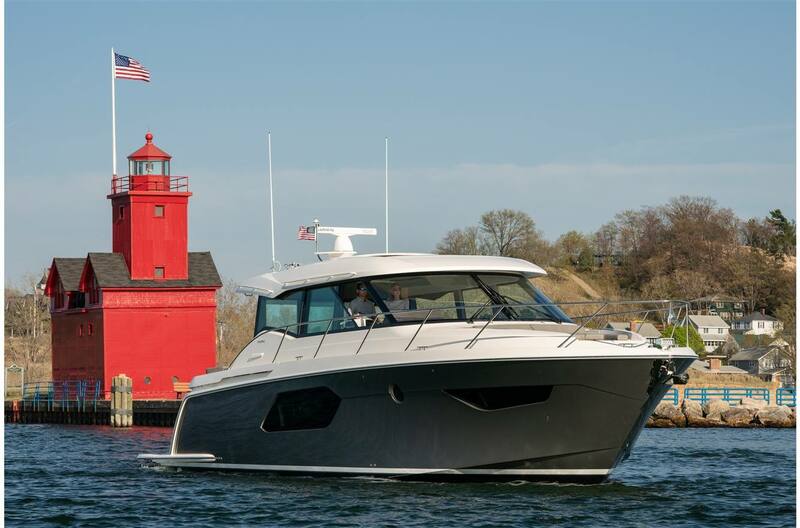 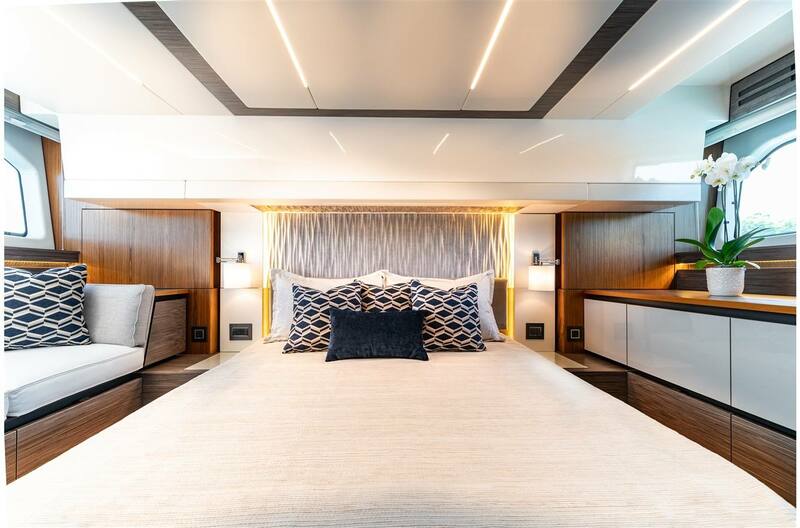 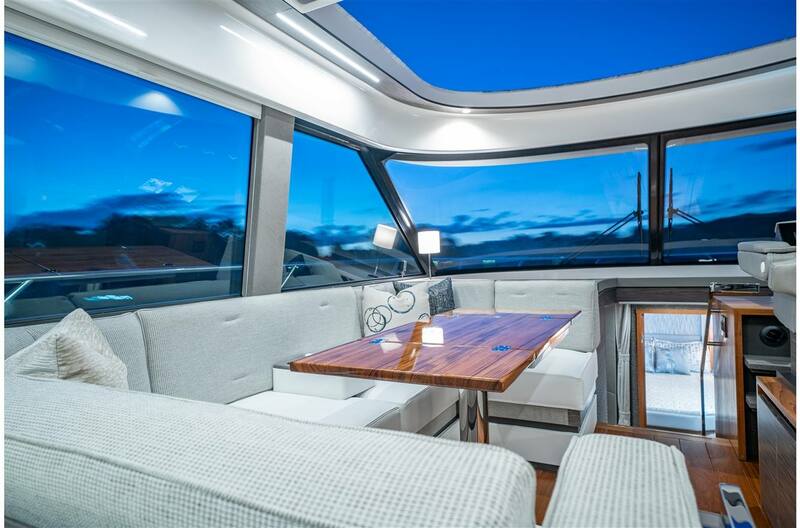 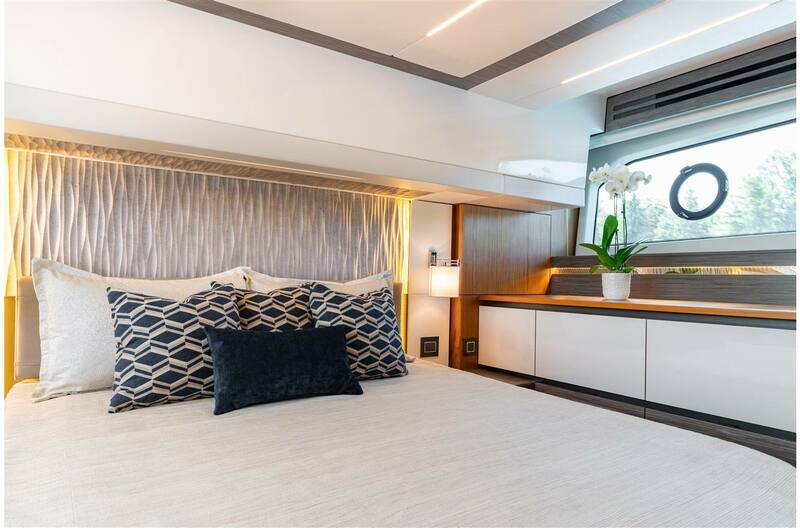 The centerline master berth boasts private head entry, storage and an abundance of natural light via the large hull side windows. 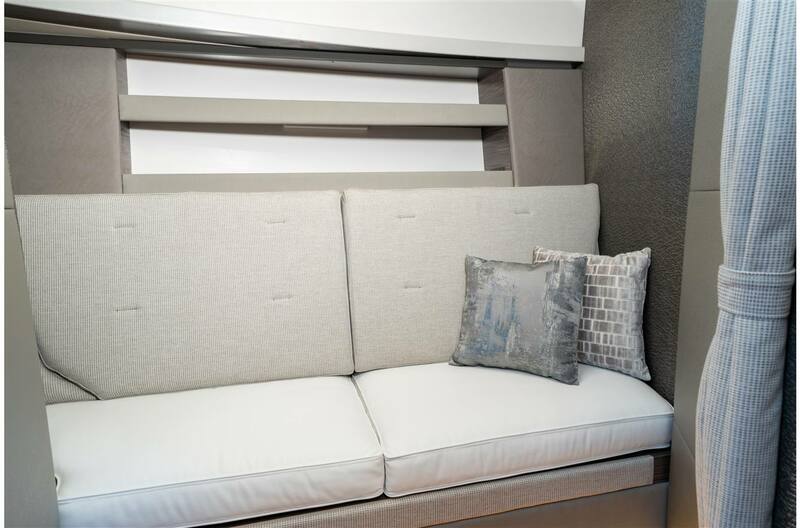 VIP accommodations enjoy natural light and a private head entry as well. 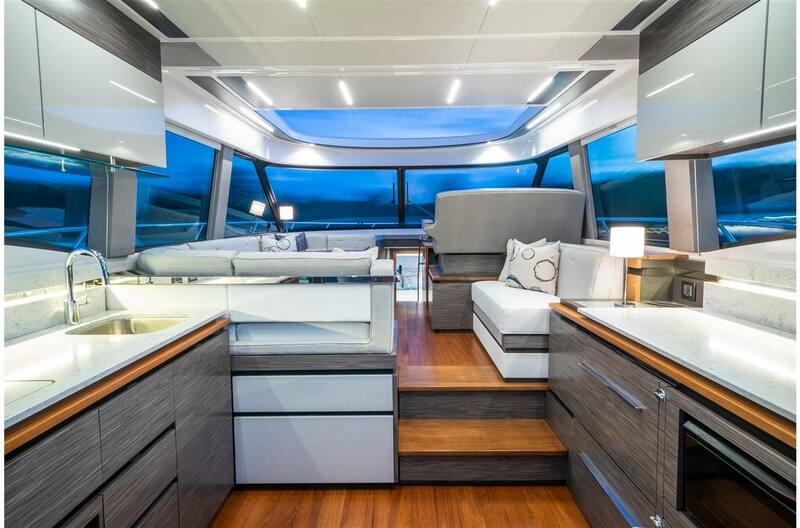 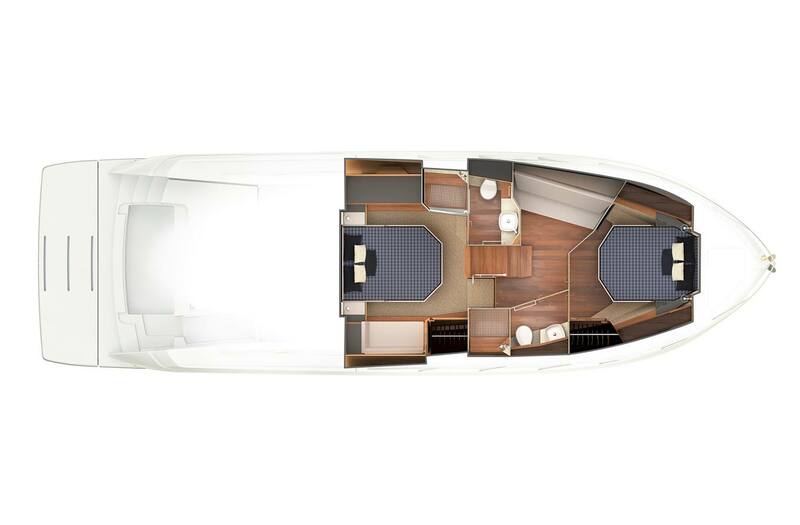 Connect interior and exterior zones via sliding glass doors that open the galley to the single entry cockpit complete with spacious L-lounge. 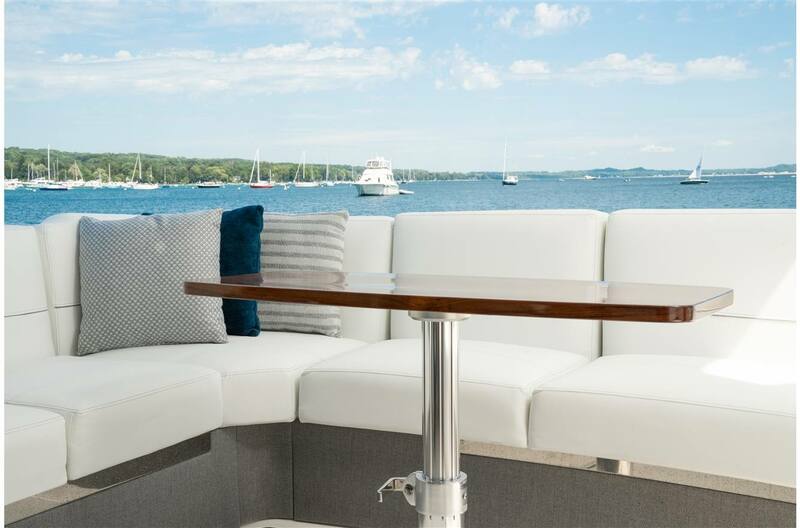 Elegant fabric colorways blend with teak, Corian and Quartz accents to present a contemporary look and comfortable feel aboard the 49 Coupe. 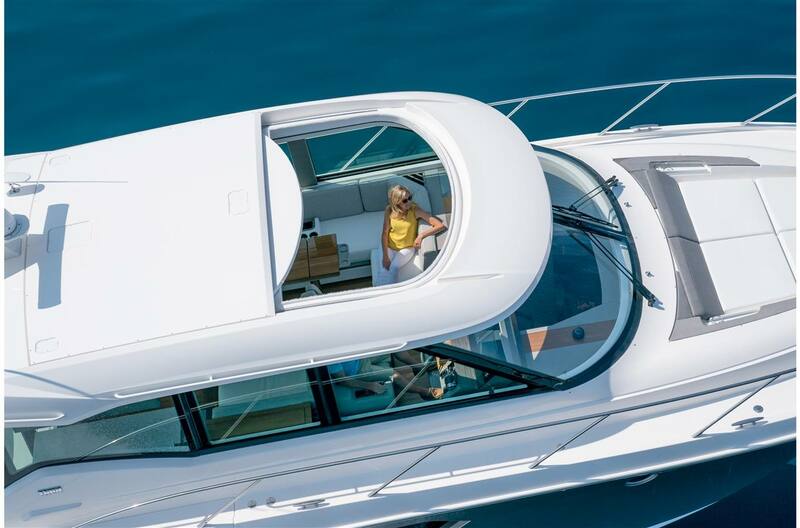 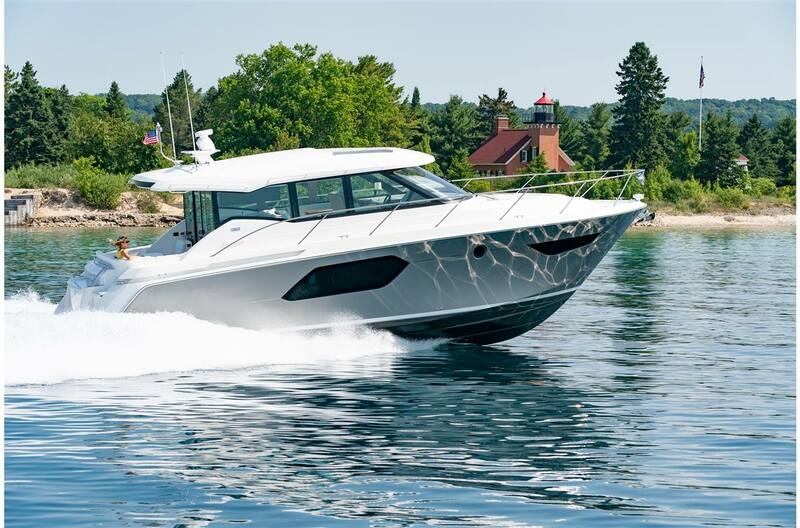 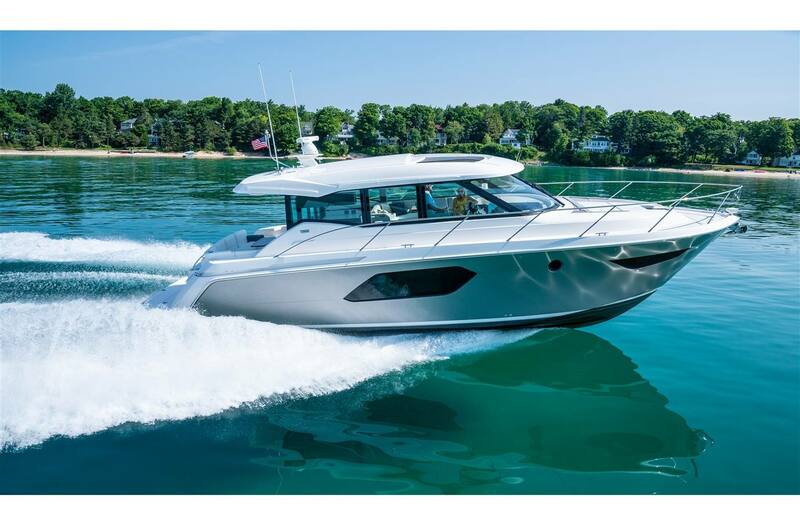 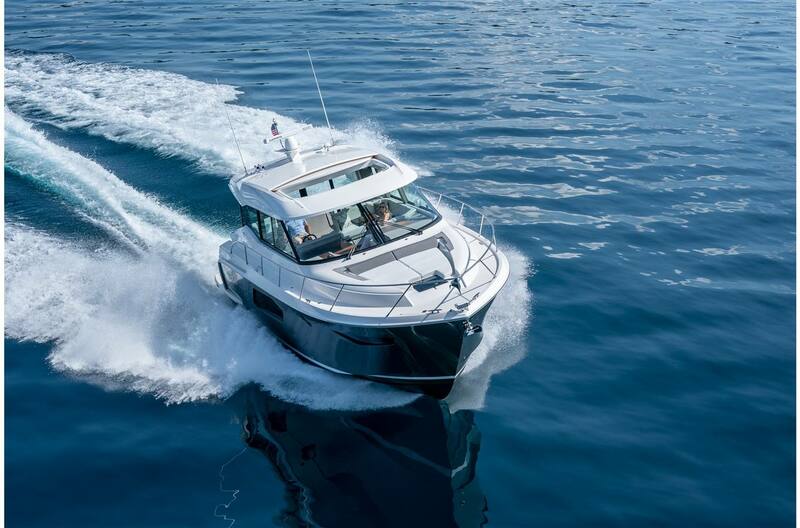 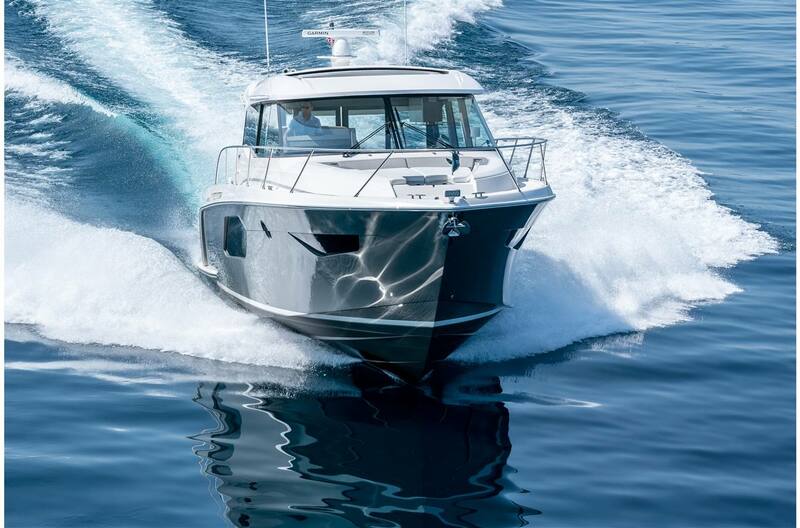 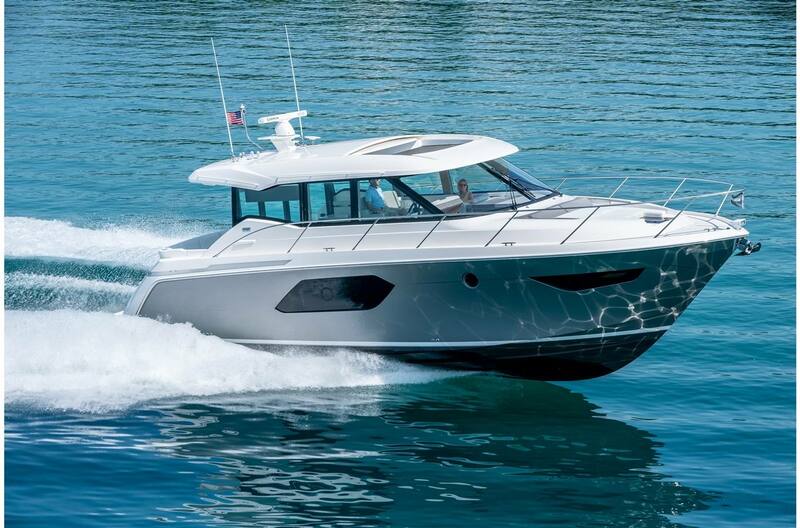 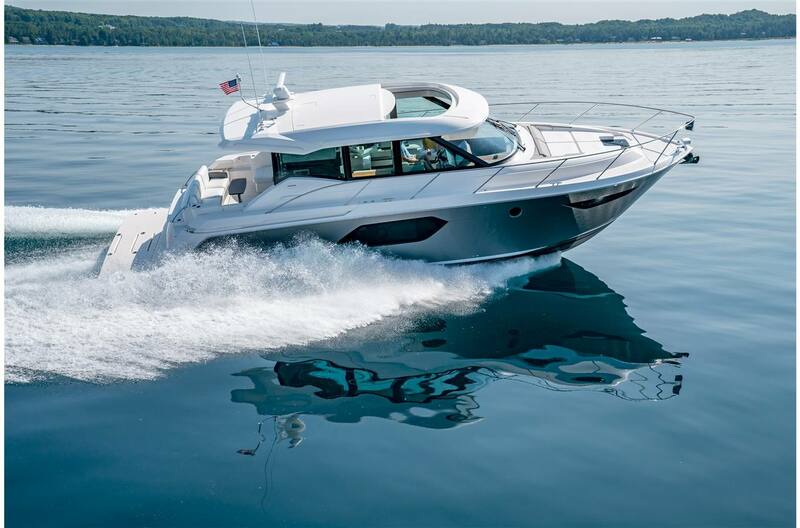 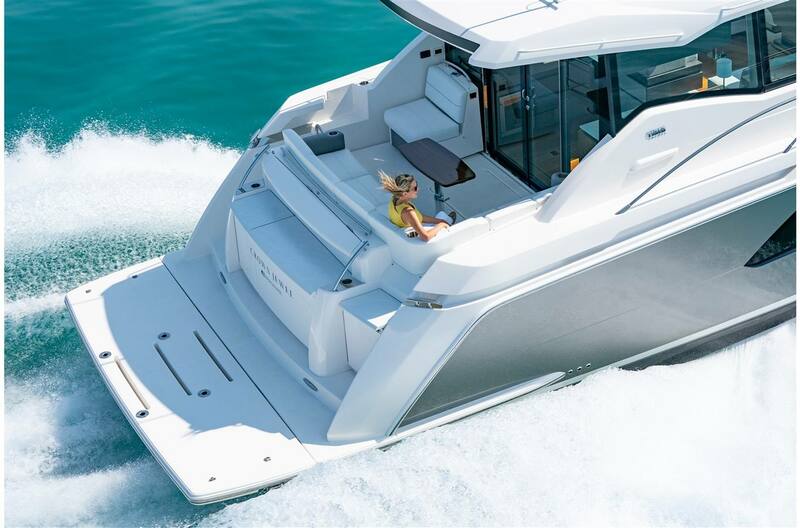 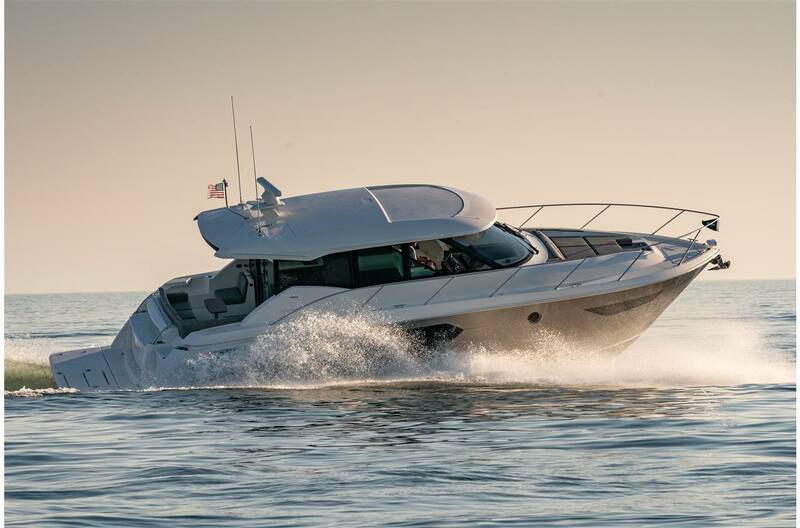 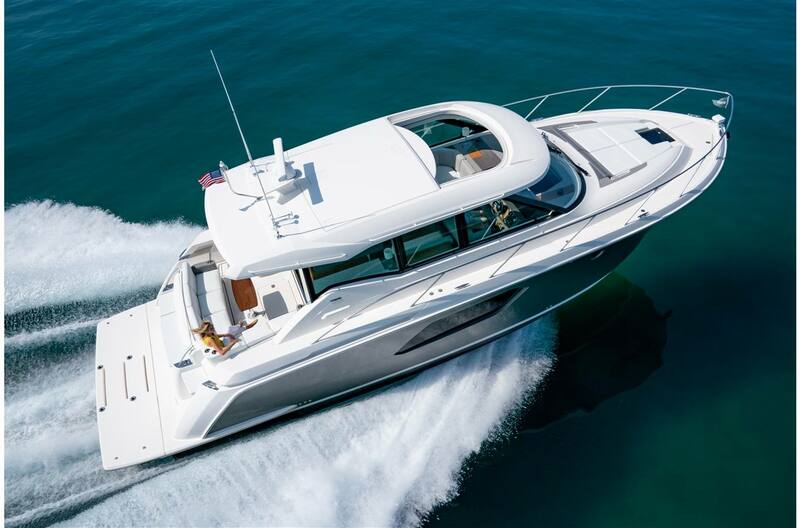 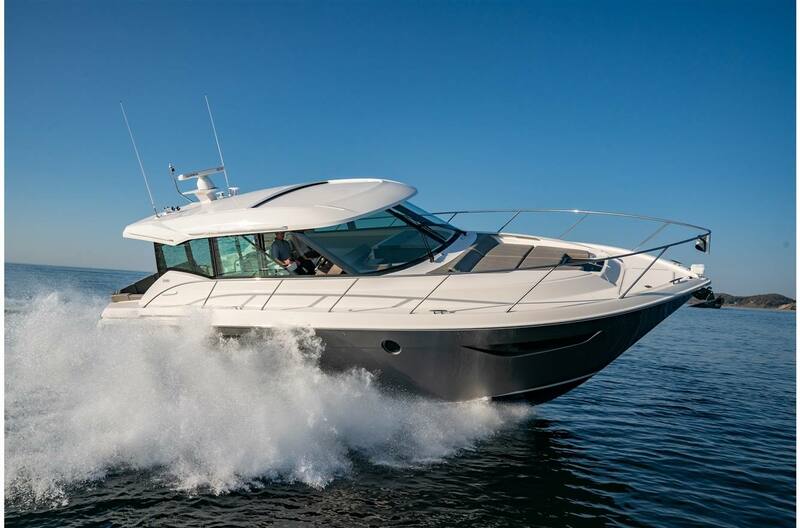 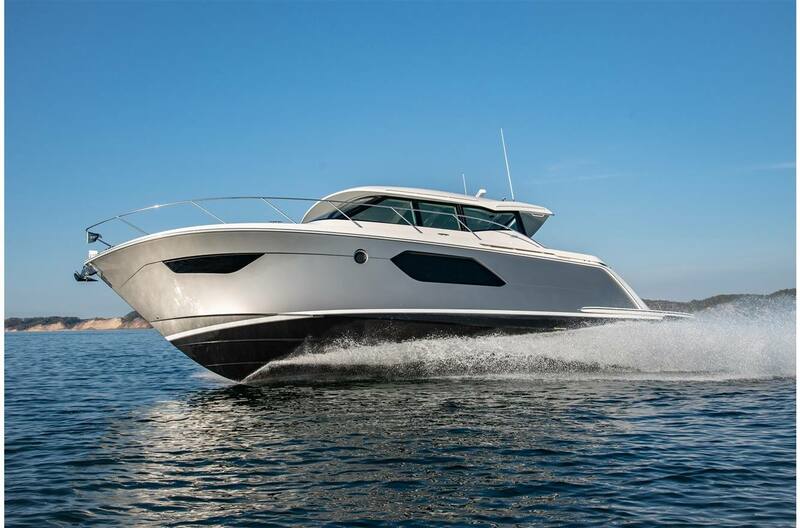 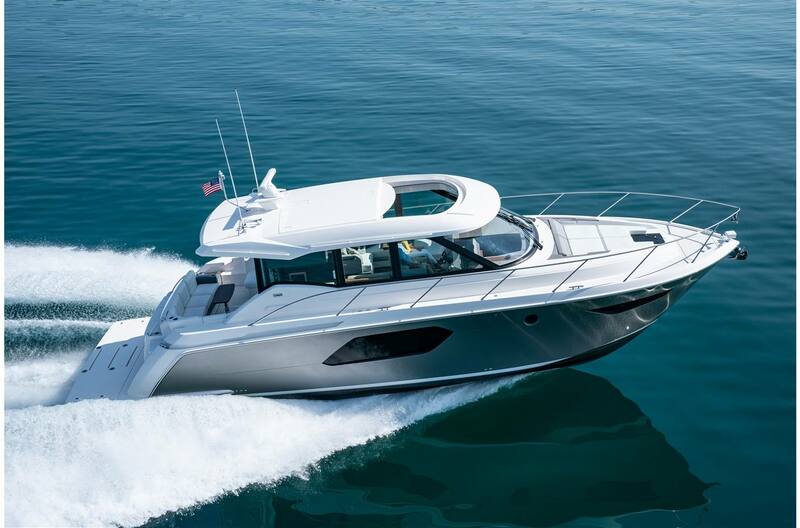 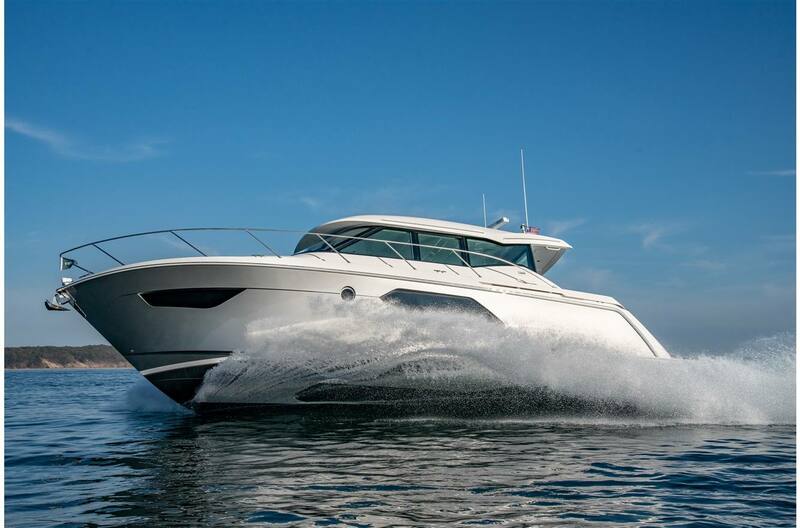 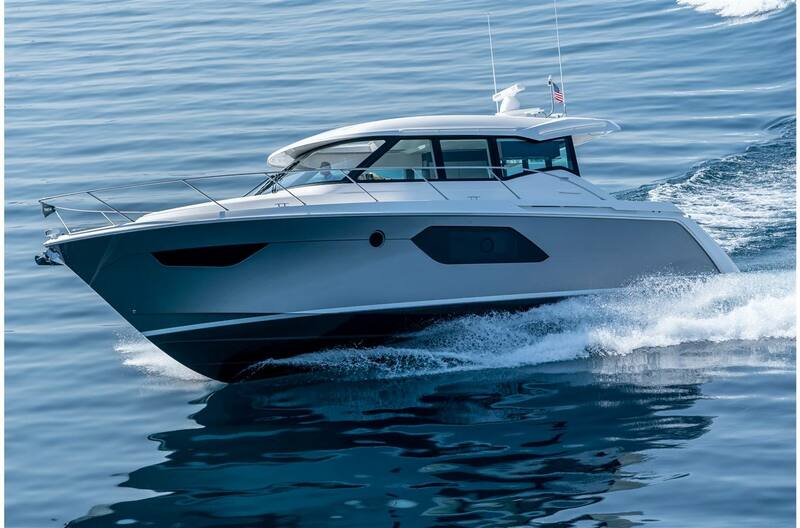 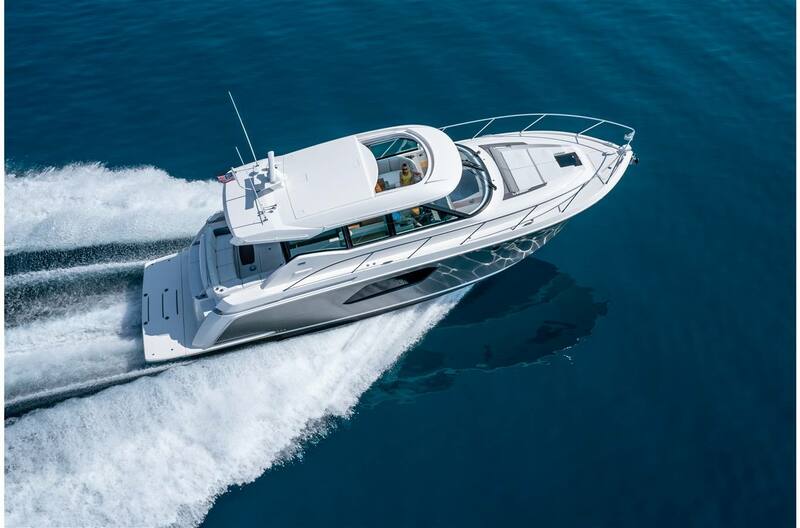 The 49 Coupe carries our longstanding partnerships with Volvo Penta® and Garmin® electronics, offering glass cockpit, joystick control and current marine navigation technologies. 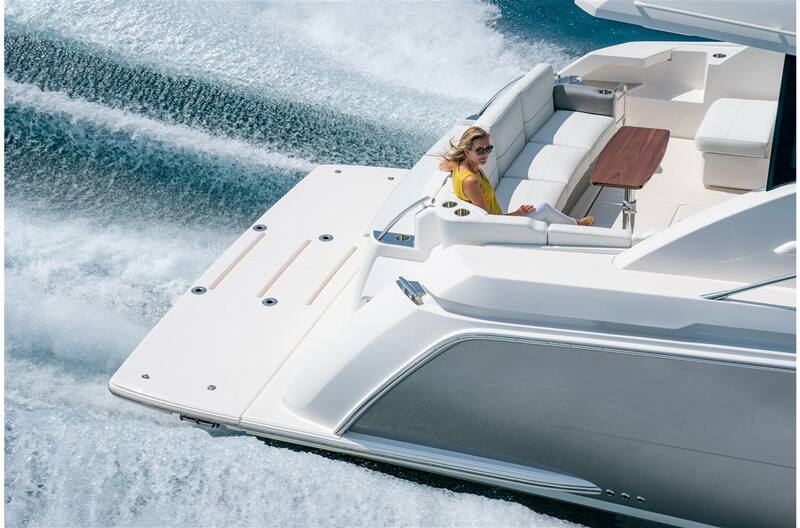 Seakeeper® gyro stabilization technology is an optional addition to your 49 Coupe. 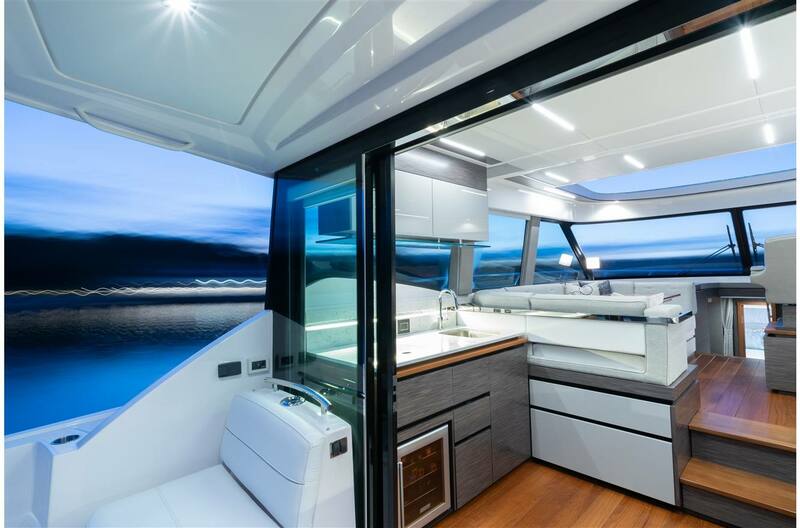 Integrated audio system, Bluetooth and advanced LED lighting are each seamlessly blended throughout.